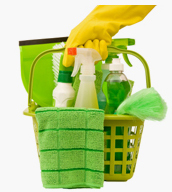 Cleanmasters commercial cleaning Naples, Florida. We understand your unique needs & desires! Get started on having it done right! Experienced management in place. Trained employees. One Price, One Contract, One Clean Facility. Nothing says professional more than a sparkling clean office. Don’t be embarrassed by dust build up, dirty carpets and coffee spills that have been there forever! Building Clients trust is paramount. People notice the business organization, and that starts with a clean facility! At CleanMasters we keep your office / classroom clean and sterile so that you can keep healthy. We would highly recommend CleanMasters for cleaning services as they are very efficient as well as reliable. We especially appreciate how they communicate with us. We send emails to them if we have any problems or special requests and they respond timely. CleanMasters are the best cleaning company we've had on site. They are very responsive to our needs, professional yet personable, have demonstrated flexibility and their quality is consistent. CleanMasters will schedule supervised times around your business, day or night to work in harmony with your hours of operation and security needs. Many businesses have large open areas for their guests. The deep down cleanliness of these areas is of the utmost importance, as this is a reflection of the products and service’s you provide. CleanMasters will not embarrass you with depreciating levels of service. Our Supervisor ensures checklists are followed by the cleaning staff, and if you are not happy with any cleaning we will send a person to correct the problem at your convenience. • Arranged around your schedule. • Accurate contract predictions, to avoid ‘surprise invoices’. CleanMasters Of Naples LLC takes a more modern approach with our clients. We have found that our competitors quality of service consistency drops after several months. Why? Lack of supervision, missing checklists, high employee turnover, and low general accountability within their organization, equals lower cleaning standards. At CleanMasters we are easy to contact, and quick to respond, and that’s assuming the supervisor did not see what you are seeing if a problem arises. We will predict bi-annual and annual cleaning tasks and build that cost in to our proposal so there are no additional invoices or hassle of scheduling outside contractors.